The Malawi Revenue Authority (MRA) will from next month introduce some changes in the processing and management of export clearances to facilitate export trade. MRA Commissioner General Tom Malata said in a published statement that the changes are aimed at improving efficiency in the processing and management of export clearances. He, however, cautioned exporters and businesses that failure to comply will result in the cancellation of export declaration. Said Malata in the statement: “Bulk export clearance shall no longer be allowed, but, exporters may process one declaration for several trucks meant for a single exist. Once an export declaration is released at an inland station, the export consignment is required to report at the border of exit within 30 days from the release date. However, Clearing and Forwarding Agents Association of Malawi chairperson Everson Bandawe told Business News that network glitches remain one of the major challenges at the border. “While we are able to make clearances from elsewhere using the MRA electronic automated system for customs clearing process, network breakdowns remain a major challenge. Once that is resolved, we should see quite a big improvement in the speed with which we clear documents,” he said. In reaction, MRA corporate affairs manager Steven Kapoloma said the Authority has since developed a redundant network, which has a provision of a standby network to kick in automatically when the other is down in all the border posts. Figures from the National Statistical Office (NSO) show that the country’s trade deficit has been running at roughly K300 billion, on average, over a seven-year period, which is about eight percent of gross domestic product (GDP). Malawi’s trade pattern reveals a widening trade deficit, with figures showing that between 2009 and 2016, exports and imports increased by 159 percent and 245 percent, respectively, according to NSO. Agricultural products continue to dominate Malawi’s export basket, accounting for about 80 percent of the country’s exports. This makes Malawi vulnerable to external shocks. 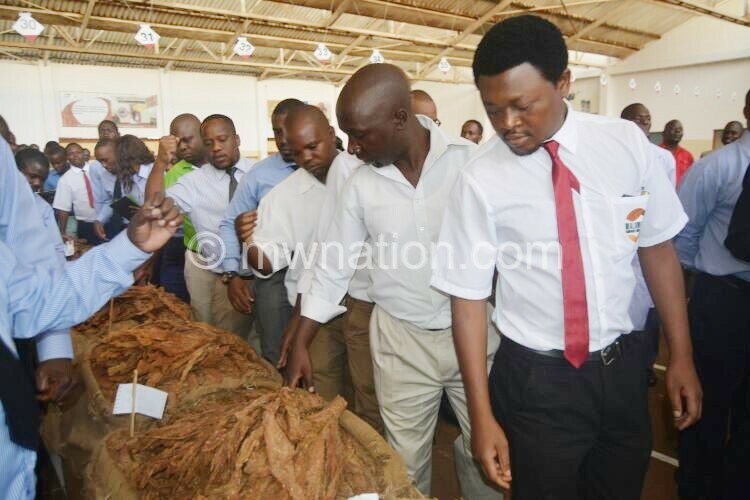 According the November 2018 World Bank Malawi Economic Monitor, the growth in the nominal value of Malawi’s exports remained low, at only about six percent, due to the relatively weak performance of tobacco, the country’s largest forex earner.